Living Spirit is proudly carbon neutral and the parent company for a few businesses known for their commitment to fair trade practices and to small independent incense manufacturers, herbal farms and farmers through our efforts as product distributors. With the resources Living Spirit has been gathering over the past few years, we are now devoting much of our time to helping worthy causes, doing important research, and engaging in activities that we hope will help save this beautiful and sacred planet of ours. 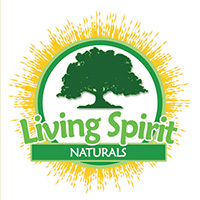 Our brand name is “Living Spirit Naturals“. All of our herbal supplement, food and botanical manufacturing is handled by TC Bauer Co. They specialize in manufacturing, growing or procuring organic herbs from select growers around the world, focusing on organic farmers who still take great pride in their crops. The brilliant owner of TC Bauer Co. worked as a specialist for years, teaching accelerated growing methods to farmers in these emerging countries to help increase the productivity on small tracts of land. They manufacture most of the products we resell or offer to distributors and other retailers. We still love being resellers of unique herbal products with a focus on Kava Kava, but also with products that have a rich Ayurvedic, Folk Medicine and/or Shamanic history. We also have continued to shift our focus towards also the manufacture of natural soy wax candles and re-packaging of bulk essential oils for aromatherapy use at co-op prices. The information herein provided throughout this website and our associated websites or companies on various natural botanical products and alternative health principles is for general information only. Please do not use this information to diagnose, treat or cure any illness or health condition. Any health or safety related issues rising due to individual application of our products should be further researched, and the advice of a medical professional requested for allergic reactions to individual ingredients. Living Spirit and its owners or employees cannot be held responsible for, and will not be liable for the inaccuracy or application of any information whatsoever herein provided.